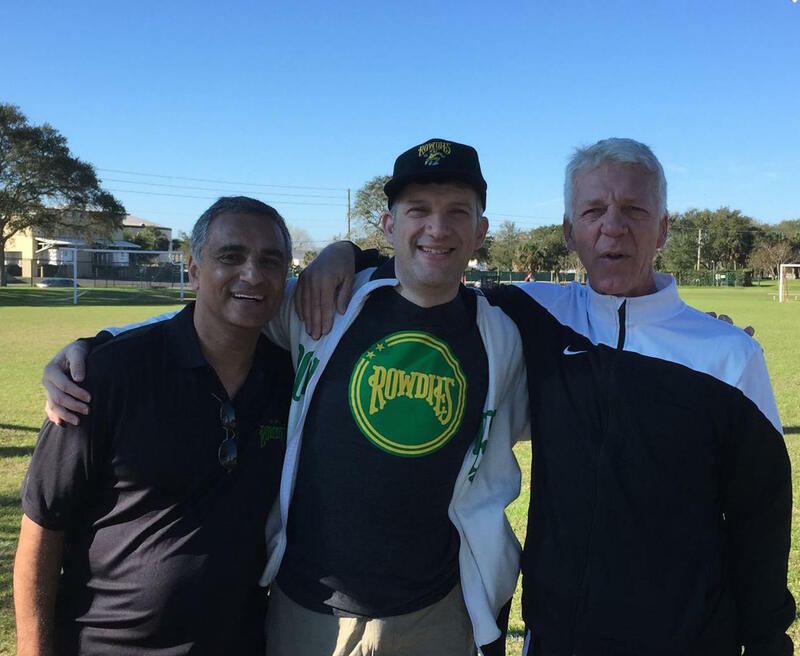 The Tampa Bay Rowdies held tryouts at the Walter Fuller sports complex this morning. The first 120 people who signed up were welcome to display their talent in the hope of landing an invitation to next weekend’s Rowdies Combine at Al Lang Field. Tryouts were free and open to the public to watch, so Carolyn and I went. We got there early, when hopefuls were still signing in, said hello to the team’s front office staff, and got seats for us and friends who would arrive later. I was really looking forward to seeing Thomas Rongen in action. But I was surprised to get a closer look than that: Farrukh Quraishi, whom we had met a few years earlier through a mutual friend, brought Rongen over to us so we could meet him. Rongen is a very down-to-earth, friendly man. His energy and enthusiasm is infectious. As he talked with us about his experience in American Samoa, as well as his plans for the Rowdies, I found myself becoming even more excited about the upcoming season. I hadn’t thought that was possible. I can hardly wait for the season to start in April.